There are many reasons to eat seasonally, not least because foods will generally be more nutrient dense if they’re eaten at the time that nature intended. Spring brings a wealth of foods that deliver some wonderful health benefits, particularly for the immune system. 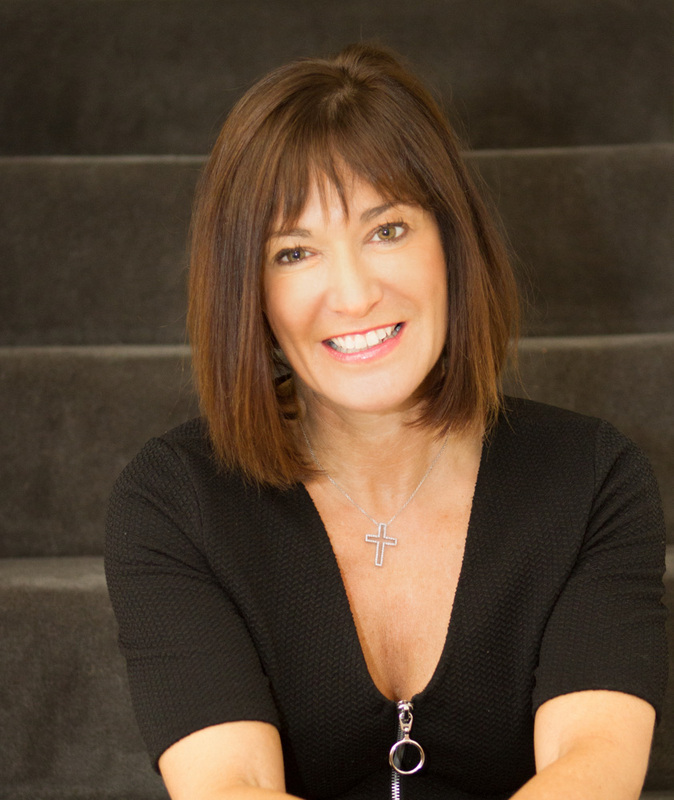 Clinical Nutritionist, Suzie Sawyer, suggests five foods which are great immune-boosters and are in season right now! 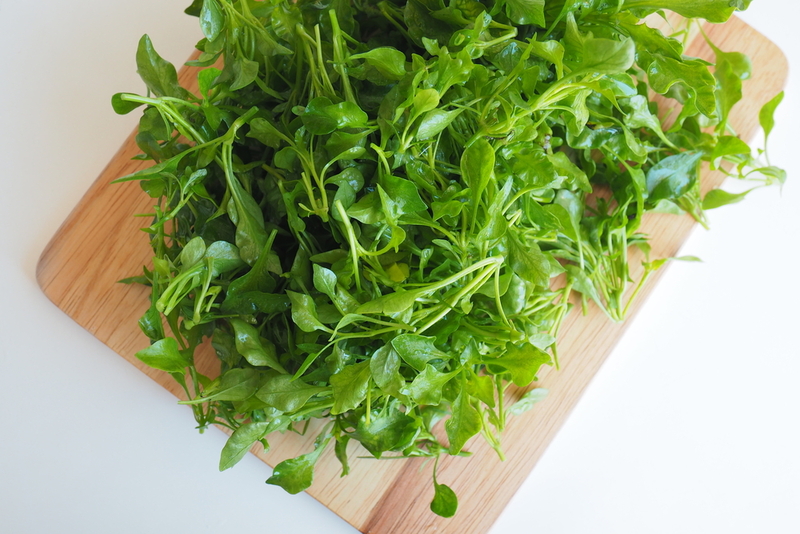 With its peppery-tasting, dark green leaves, watercress is amongst the healthiest of fresh salad vegetables. It’s very rich in many vitamins and minerals, especially vitamin C and beta-carotene, both great for the immune system. Watercress is a member of the cruciferous vegetable family which are renowned for their immune-boosting and antioxidant properties; in traditional medicine, watercress was used to treat kidney disorders and liver malfunctions. It also seems to have natural antibiotic properties and has been used in complementary medicine to speed up the body’s detoxification processes. Watercress soup is delicious and super-easy! All you need is to chop some potatoes, onion and garlic, sauté in a pan, add some stock with around three bunches of watercress and blend. A delicious and wonderful spring immune-booster! Another in-season vegetable staple, the greatest nutritional benefit of the carrot is that it’s an excellent source of beta-carotene. 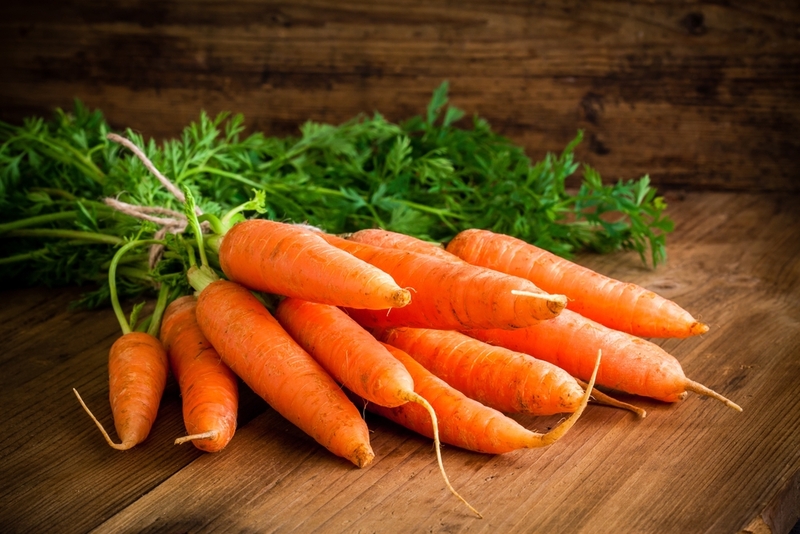 Beta-carotene provides great nutritional benefit in its own right but also converts into vitamin A in the body which then becomes a powerful immune-boosting nutrient. In actual fact, vitamin A is as famous for its ability to help us see in the dark as it is for its action to fight infections. Cooked or raw? Interestingly, and unlike many other vegetables, carrots are more nutritionally beneficial when cooked. This is because cooking breaks down their tough cellular walls to enable the body to convert the beta-carotene into vitamin A more easily. So whilst munching on a carrot is a great snack, carrots are much better in a soup, roasted with honey as a vegetable side or cut into batons and used in stir fries. However, they’re still a great versatile vegetable. It’s specifically this variety of broccoli that’s in season during spring-time. All types of broccoli provide an excellent source of vitamin C and beta-carotene, which, as we know, are great for the immune system. However, as with all fruits and vegetables, the darker the colour, the greater the health benefits and nutrients available. The coloured pigments deliver excellent antioxidant properties mainly through the anthocyanins naturally present, which help to defend our bodies against any unwanted invaders! 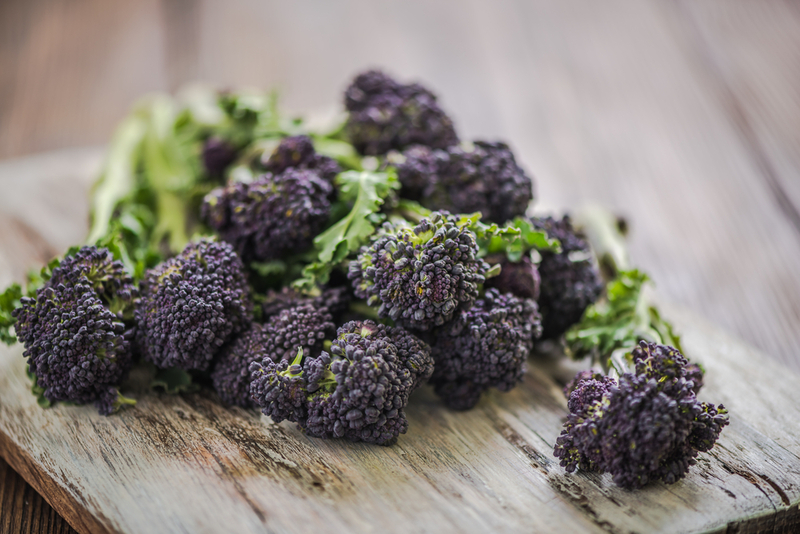 Therefore, purple sprouting broccoli can really ‘pack a nutritional punch’ and even more so when it’s fresh and in season. Unlike carrots though, when broccoli is boiled, almost half the vitamin C content is destroyed; therefore lightly steaming or stir frying is the much better option. In fact, since broccoli is at its tastiest right now, there’s nothing nicer than some steamed broccoli with a knob of butter to accompany your salmon or fillet steak. Plus it will add some wonderful colour to your plate! Another member of the wonderful cruciferous family of vegetables, cauliflower is a spring superfood. Like all other members of the family, it contains sulphurous compounds that may protect the body against certain cancers. However, it’s also a great source of vitamin C, and its fibrous content helps to keep the bowels in smooth working order. However, it may cause some flatulence when eaten; this can be avoided by eating it with some spicy accompaniments such as garlic, caraway, coriander or turmeric. 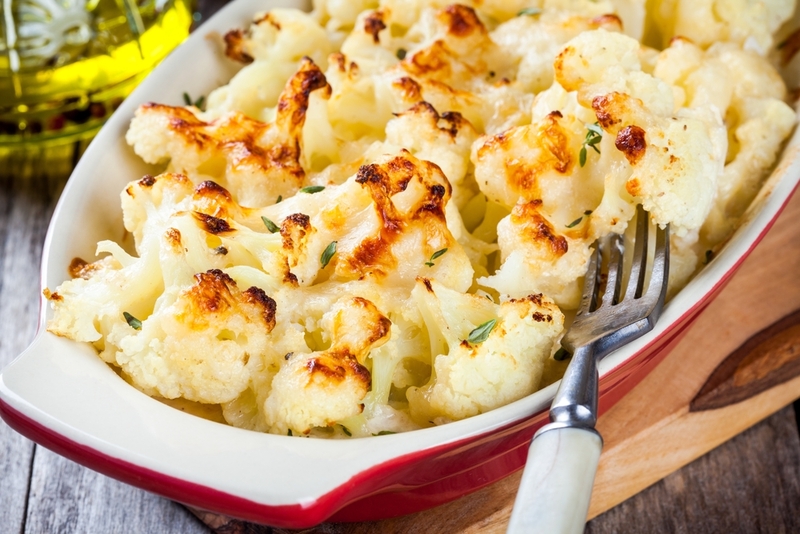 Additionally, because of cauliflower’s low calorie content, it’s a great component of any slimming campaign. Indeed, cauliflower rice has become very popular as a healthy, low- fat, but starchy vegetable to help fill you up without piling on the pounds! Sometimes forgotten on the spring menu, but still tasty, particularly with a crumble topping, rhubarb is actually a vegetable and not a fruit! However, it contains really good amounts of vitamin C, as well as heart-healthy potassium. In traditional Chinese medicine it was actually used as a purgative or laxative, mainly due to its fibrous content. 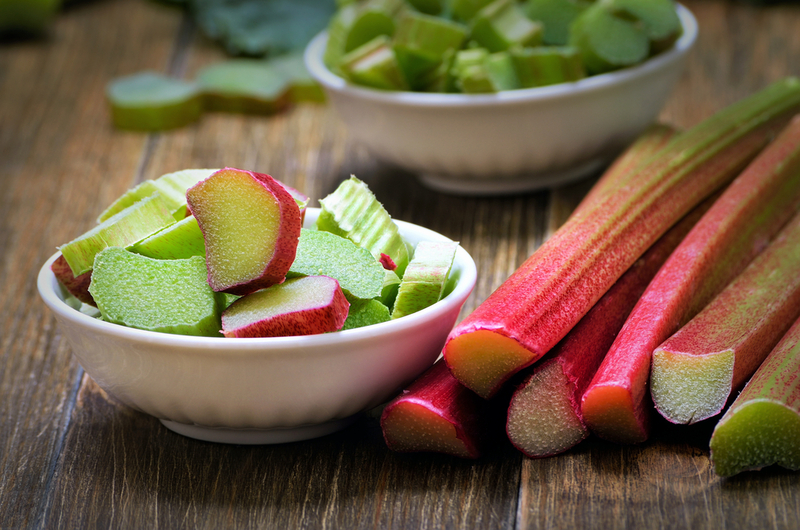 Although rhubarb does taste better with some sugar added, you can always use low-calorie xylitol, which is a natural plant-based sweetener, so you’re not adding lots of calories to your desert but still enjoying its great health benefits. The only thing to remember is that rhubarb leaves are poisonous and its best not cooked using an aluminium saucepan. However, it tastes great stewed with some apple and a scoop of ice cream as a special treat! So as you enjoy the spring weather, these immune-boosting foods will also provide an extra spring in your step to enjoy those longer days!